Our new website has launched! 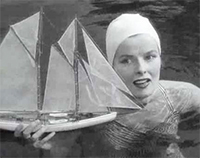 Borrowing from Hepburn’s boat description in the The Philadelphia Story, the site is “yar… easy to handle, quick to the helm, fast, bright, everything a [site] should be.” Let us know if we can improve your experience. October is upon us, and with it our annual appearance at Tucson Meet Yourself! 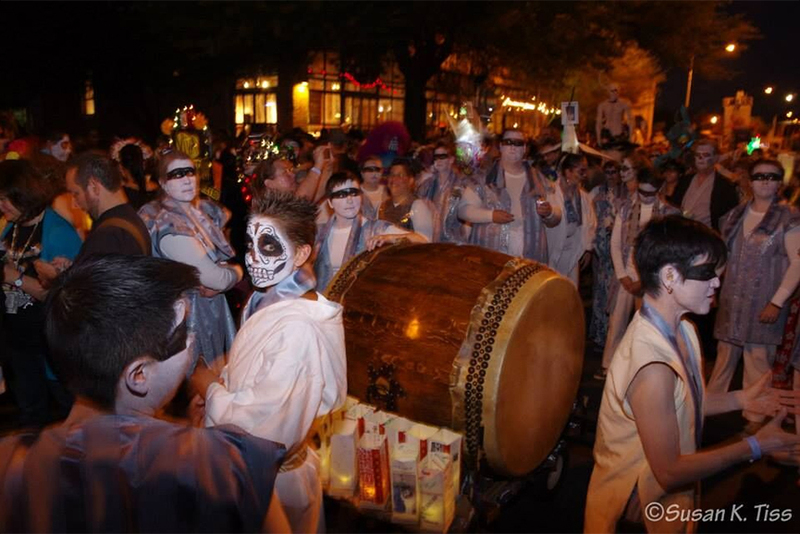 Odaiko Sonora will perform a 45-minute set at 5pm on Saturday, Oct. 13. The festival is 3 days, however. Make sure you book plenty of time there to take in the many cultures, practices and foods our city has to offer. 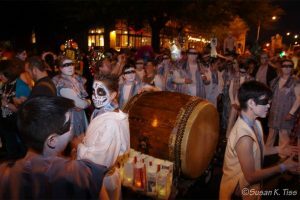 October also brings a flurry of activity in conjunction with the extraordinary All Souls Procession. Five Thursdays, Oct 4 through Nov 1, Odaiko Sonora hosts a Memorial Lantern Making Workshop at Takamatsu Restaurant from 5 to 8pm. Later in the month, we will offer three more workshops where you can learn the dance, chant and other ways you can be part of the obon tradition we bring to the Procession each year. These workshops are free, though donations to the All Souls Procession will be accepted. More info about the All Souls Procession workshops.